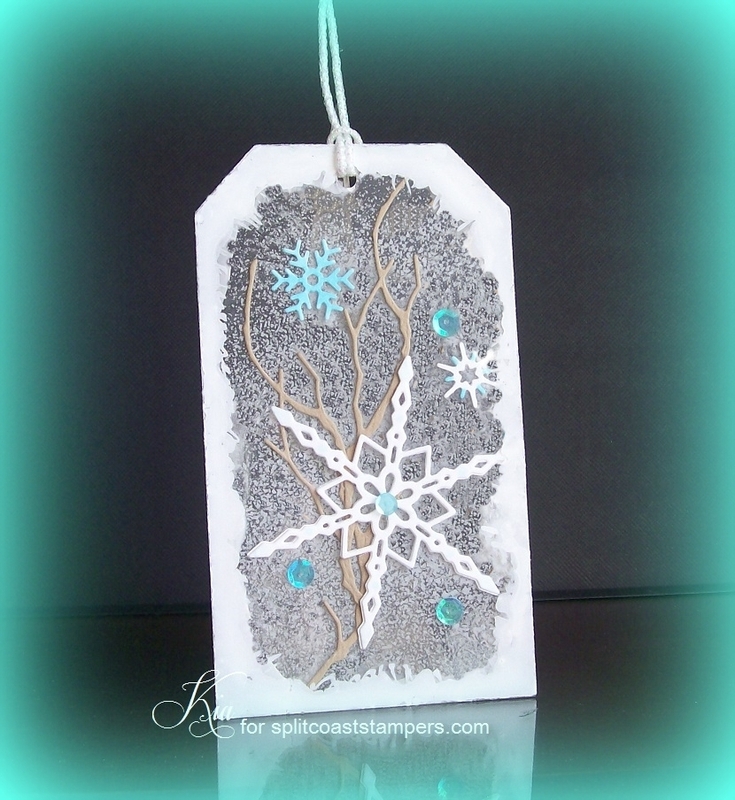 I made this card for the Clean and Simple Challenge at Splitcoaststampers that I am hosting this week. 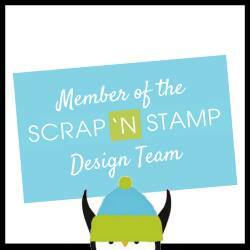 The challenge is to use Acetate somewhere on your card, or for your card. You can view the gallery here to see the beautiful creations. I made a double sided card with an acetate globe and my scene is inside the globe. I die cut my scene in American Crafts Glitter paper. I love the Triange Trees for this as they can be mirrored front and back. I added sequins for falling snow to both sides of the outside of the acetate, so everything is nice and tidy. 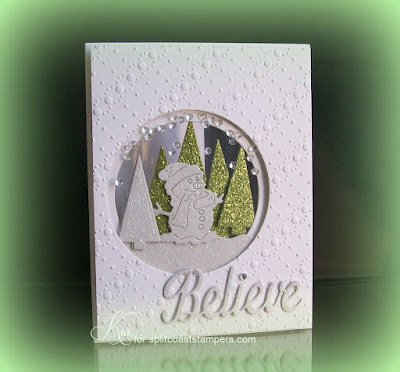 The inside message side of the card has the same embossing folder used and where the acetate is on the front is cardstock with my Christmas Greeting. 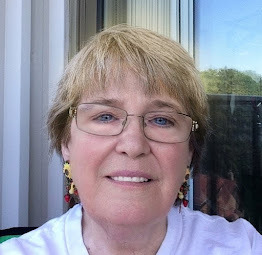 I am very happy with how it all turned out and I have someone in mind to give it to that will not require mailing as it is heavy. 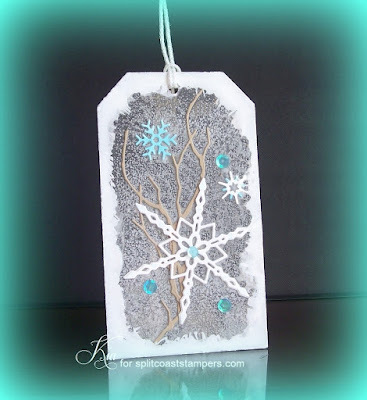 I also made this Tag for my challenge at Splitcoaststampers. It is double sided with the scene inside. I used Dylusions Ink Spray on the back inside and painted the same ink around the edges. So fun to make and I think I will make a few more for Christmas.